A British schoolgirl who fled to Syria to join Islamic State of Iraq and the Levant has said she does not regret it, but wants to return to the UK to give birth. 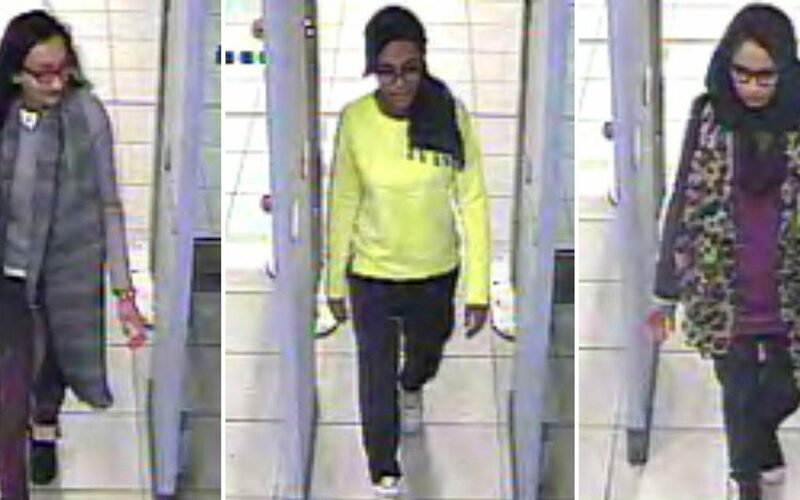 Shamima Begum, 19, vanished from her home in Bethnal Green in London four years ago, along with two other teenage girls, Kadiza Sultana and Amira Abase. A girl who identified herself as Shamima Begum, was found in a refugee camp in Syria as the Isil caliphate collapsed, the Times reported. In an interview with the newspaper she described how she had been living in the caliphate and had married an Isil fighter from the Netherlands called Yago Riedijk. She was heavily pregnant and due to give birth any day. The girl is living in the al-Hawl refugee camp in northern Syria along with 39,000 other refugees. She described having seen a severed head in a bin during her time with Isil, and escaping bombs dropping, the Times reported. The teenager also said she had already given birth to two children, both of whom died in infancy.